The A-status finances committee listens to student groups request for more funding. College Democrats and Arts Alliance both received extra funding, while A&O Productions, Asian Pacific American Coalition and World Cup’s extra funding requests were denied. Associated Student Government Senate approved Wednesday more than $1.5 million in funding to A-status student groups. The A-status finances committee allocated funds to more than 35 student groups, using money from the student activity fee. Vice president for A-status finances Daniel Wu said the committee looks at categories such as accessibility and sustainability when deciding which events to fund. It also considers event attendance, a group’s ability to handle its past funding and communication with the A-status finances committee, the Weinberg junior said. Of all the students groups that requested additional funding, only Arts Alliance and College Democrats were granted extra money. Student Theatre Coalition senator and external producer of Arts Alliance Leo Jared Scheck proposed an additional $1,000 for theatrical lighting equipment rental for the Arts Alliance fall mainstage. The Communication freshman said the group experiences a loss of $3,000 in revenue compared to other theater groups because they do not charge admission due to their mission of accessibility. Low-income students in the group are then “burdened” by having to fundraise money from their families, he said. “This is a very undue hardship on our low-income students and their families and all families in general and really goes against Arts Alliance’s mission of having accessible theater,” Scheck said. College Democrats were granted an additional $1,500 for their fall speaker honorarium, which Wu said was a “successful” event this year. Though A&O Productions, Asian Pacific American Coalition and World Cup also requested extra funding, they were denied. Earlier in Senate, Communication freshman Jillian Gilburne, who is currently a member of ASG’s community relations committee, was nominated as deputy chief of staff. 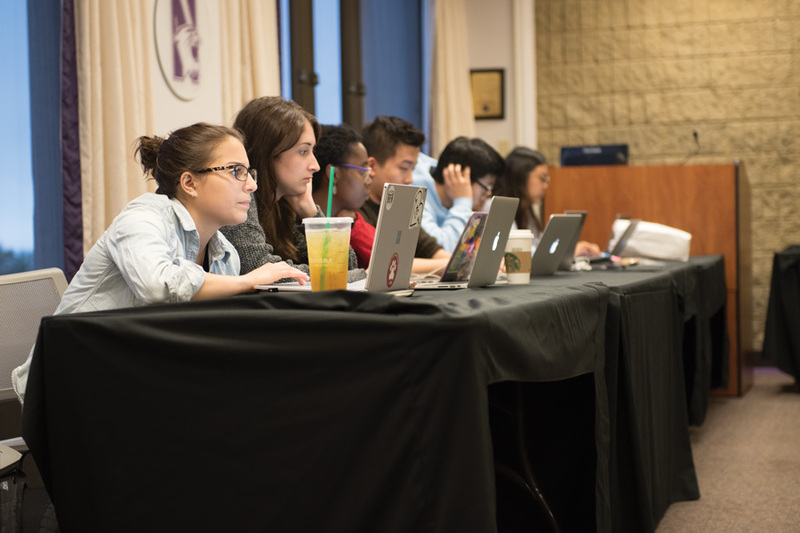 The role will address the increased numbers of initiatives taken under the executive board next year, said chief of staff and Weinberg junior Lars Benson. “Sometimes because of the size, it can be hard for certain voices to be heard … so I really want to work to make the Senate experience better, to make things clearer for newer committee members who are joining and working with you and other student governments at other universities to make student government the best representative for students,” Gilburne said. Senate will vote on B-status finances funding allocations next week.